Week #10 brings with it a return to committees and public hearings as the Legislature passed its “house of origin” cutoff March 13. Bills that did not receive floor action in their house of origin by 5pm on the 13th are now considered dead. For those bills still alive, they’ve moved to the opposite chamber and will undergo the same process they did in their house of origin (committee public hearing, committee executive action, Rules committee action, and a floor vote). Each of these steps is difficult, a process intentionally set up to ensure bills are properly vetted and well thought-out. It’s not a perfect system, but it’s the one we’ve got. 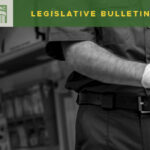 HB 1712: concerning vehicle weight loads carrying farm products. HB 1712 would have authorized vehicles carrying farm products to exceed total gross weight limits by 2,000 pounds. WSACE was opposed to this bill, and it failed to advance. It’s Senate companion, SB 5883 is still alive. HB 1897/SB 5830: concerning vehicle weight loads. HB 1897 & SB 5830 would have allowed WSDOT to implement a pilot program where triple-trailers would be allowed on major state-routes. WSACE expressed concern with the bill, along with several others. Neither bill advanced post-cutoff and are dead. 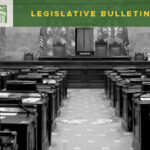 HB 2039/SB 5926: concerning transportation network companies. These bills would have consolidated the regulation of transportation network companies (TNCs) (i.e. Uber, Lyft) and would have preempted local governments from regulating certain aspects of TNCs. Both of these bills failed to advance out of committee. They could be revived as session moves on, but are considered dead for now. SB 5104: concerning local government vehicle tolls. This bill would have prohibited local governments from imposing vehicle tolls. It died in Senate Rules. 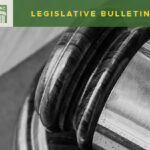 SB 5255, concerning rural road usage charges. 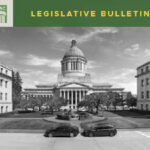 SB 5255 would have prohibited rural counties from levying a road usage charge. The bill did not receive a committee vote and is dead. SB 5179: concerning county electrical illumination equipment. This bill would raise the current $10,000 bid limit threshold for county electrical illumination equipment procurement and work to $40,000. This bill is in House Transportation awaiting a public hearing. SB 5418: concerning local government procurement. This bill has a number of provisions in it relating to local government procurement, including, allowing counties to utilize unit-priced contracts, and increasing the small works bid process from $300,000 to $500,000. Unfortunately, a sunset provision was put on the bill during floor action in the Senate and we will be asking for that amendment to be removed in the House. SB 5418 is now in House Local Government. SB 5923: establishing a county road administration board emergency fund. This bill authorizes the County Road Administration Board (CRAB) to create an emergency revolving loan program for certain counties for road or bridge work that is necessary due to a natural or manmade event for which a disaster was declared. SB 5923 is scheduled for public hearing in the House Transportation Committee on March 21. SB 5505: specifies that WSDOT stormwater fees to local government utilities must be used for facilities and best management practice implementation focused only on state highway runoff. It also requires local government utilities to provide an expenditure plan and annual progress report before receiving DOT stormwater fees. Counties have significant concerns with this bill. It has defied our expectations and continues to move quickly, and with a great deal of support. It was voted out of the Senate almost unanimously. It is now scheduled for public hearing on March 20 in the House Transportation Committee. SB 5883: concerns vehicle weight loads carrying farm products. It’s companion, HB 1712, died in the House, but 5883 continues to move. It was amended in the Senate with changes to the weight measure. Instead of 2,000 pounds as the allowable overage, it is now 5% of the load. Counties have significant concerns this could add even more weight to loads. SB 5883 is scheduled for public hearing in the House Transportation Committee on March 20. For a full tracking list see here. On Thursday, March 21, local governments have been invited to present on the “state of transportation” to the House Transportation Committee. I will be providing the committee with a brief history of our road departments, as well as give an overview of our fiscal state and legislative priorities. If you are interested in checking it out TVW will have a live stream beginning at 3:30pm. Jane joined WSAC as the Managing Director of the County Engineers (WSACE) in July 2018. She works on transportation and public works policy on behalf of WSAC and WSACE. Before joining WSAC and WSACE Jane spent time as a lobbyist for the Association of Washington Cities where she also worked on transportation, public works and economic development policy. Before entering the local government field, Jane worked in government relations for Western Washington University, The Evergreen State College and the Council of Presidents. Jane holds a M.A. in Public Administration and a B.A. in Political Science.